Late Marshal of the Indian Air Force Arjan Singh DFC was the first and only “Five Star” rank officer of Indian Air Force. As India celebrates his 100th birth anniversary, here is why the IAF legend will always be an inspiration to air warriors leading from the front, not only in the war front but also in the field of sports. Singh was born on 15 April 1919 in Lyallpur (now Faisalabad), a town in the erstwhile Punjab Province of British India (in present-day Pakistan), into an Aulakh Jat family. The British had built a network of canals across Punjab in the latter half of the 19th century and early 20th century, and had encouraged farmers to settle there and cultivate the land. Singh’s family had been among those that had settled there after being allotted agricultural land by the administration. They had also joined the armed forces, in keeping with community traditions, and Singh was the fourth generation of his family to join the British Indian armed forces. Singh’s father was a Lance Daffadar in the Hodson’s Horse at the time of his birth, and retired as a full Risaldar in the Cavalry, serving for a time as ADC to a Division Commander. His grandfather Risaldar Major Hukam Singh served in the Guides Cavalry between 1883 and 1917, and great-grandfather, Naib Risaldar Sultana Singh, was among the first two generations of the Guides Cavalry enlisted in 1854; he was martyred during the Afghan campaign of 1879. Thus, after three generations of men serving in the lower and middle ranks of the army, Singh was to become the first member of his family to become a commissioned officer. In 1948, Singh married Teji Singh, a lady of his own community and similar family background, in a match arranged by their families. They were married for 63 years before her death in April 2011. In 1949, their first daughter Amrita was born. 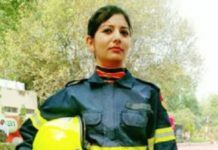 Three years later her brother Arvind Singh was born and the youngest Asha, followed another three years later. A niece is actress Mandira Bedi; Teji Singh was her maternal aunt. Singh was educated at Montgomery, British India (now in Pakistan) and later entered the RAF College Cranwell in 1938 and was commissioned as a pilot officer in December 1939. Sqn Ldr Arjan Singh DFC, Commanding Officer No 1 Sqn, IAF and the Marshal of the IAF seen here at the wheel of his jeep with other officers in front of a Hurricane at Imphal during 1944. In 1943, he was promoted to acting squadron leader and became the commander of No. 1 Squadron. Air-Warriors along with MIAF Arjan Singh (middle) as Flight Lieutenant during World War II. He led No. 1 Squadron, Indian Air Force into combat during the Arakan Campaign in 1944. MIAF Arjan Singh was awarded the Distinguished Flying Cross (DFC) in 1944, for displaying outstanding leadership, great skill and courage in the Burma Campaign during World War II. Singh almost faced a court-martial in February 1945 when he tried to raise the morale of a trainee pilot (later rumoured to be the future Air Chief Marshal Dilbagh Singh) by conducting a low level air pass over a house in Kerala. In his defence, he insisted that such tricks were needed for every cadet to be a fighter pilot. 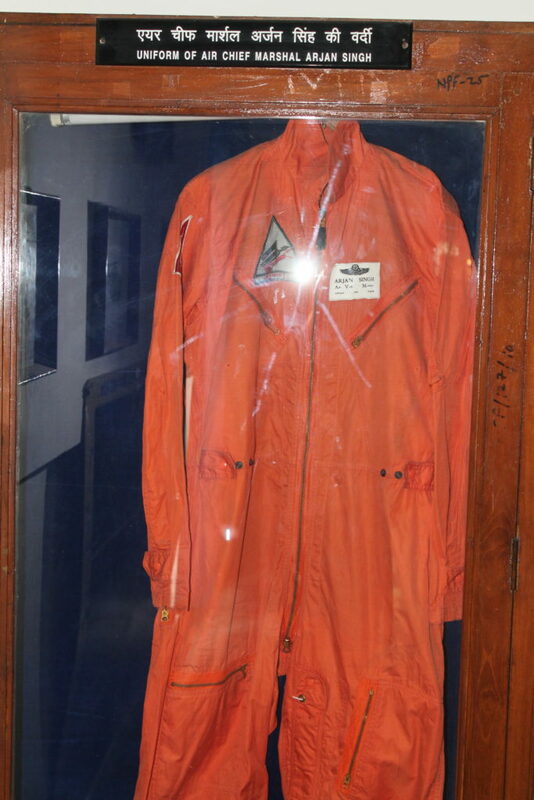 Later that year, he commanded the Indian Air Force Exhibition Flight. On 15 Aug 1947, MIAF Arjan Singh had the unique honour of leading the fly-past of over hundred IAF aircraft over the Red Fort and on the same day, assumed the command of Air Force Station, Ambala in the rank of Group Captain. Singh, at the age of 45, was appointed as Chief of the Air Staff (CAS), on 1 August 1964. He served as CAS till 15 July 1969. He has been the only Chief of the Air Staff to have headed the Air Force for five years as opposed to the regular tenure of two and a half to three years. In Nov 1965, Air Chief Marshal (Later Marshal of the Indian Air Force) Arjan Singh became the first Air-Warrior of Indian Air Force to be awarded the Padma Vibhushan. He received the award from the then President of India Shri Sarvepalli Radhakrishnan. Arjan Singh was the first Air Chief who kept his flying category till his CAS rank. Having flown over 60 different types of aircraft from Pre-WW-2 era biplanes to the more contemporary, Gnats & Vampires, he also had flown in transports like the Super Constellation. Arjan Singh’s, testing time came in September 1965, when the subcontinent was plunged into war. When Pakistan launched its Operation Grand Slam, in which an armoured thrust targeted the vital town of Akhnur, he was summoned into the Defence Minister’s office with a request for air support. With a characteristic non-chalance, he replied “…in an hour.” And true enough, the air force struck the Pakistani offensive in an hour. He led the air Force through the war showing successful leadership and effort. Though at a certain level, mistakes were made and planning could have been better, in all fairness, it must be said that the credit for thwarting Ayub Khan’s grandiose plans to capture Kashmir is shared by the Indian Army and the Indian Air Force, and Arjan Singh for leading the air force through the war. On 15th Jan 1966, the Marshal of the Indian Air Force (MIAF), Arjan Singh, was promoted to the rank of Air Chief Marshal and he became the first Air Chief Marshal of the Indian Air Force in honour of his Air Force’s contribution in the 1965 war. He retired in 1969 at the age of 50. In 1971, after his retirement, Singh was appointed as the Indian Ambassador to Switzerland and Vatican serving concurrently. He was also appointed as the High Commissioner to Kenya from 1974 to 1977. Subsequently, he served as a member of the National Commission for Minorities and The Government of India from 1975 to 1981. He was the Lt. Governor of Delhi from December 1989 to December 1990. 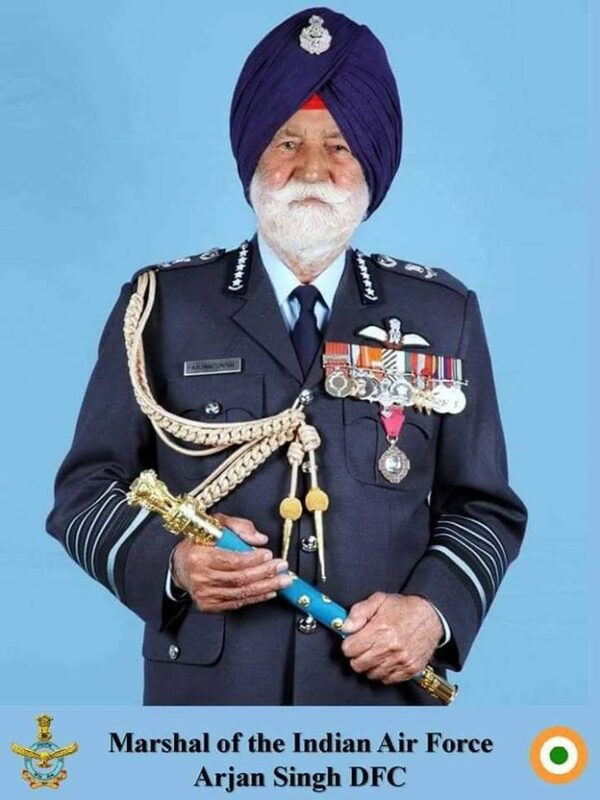 On 26th Jan 2002, Air Chief Marshal Arjan Singh DFC was promoted to the rank of Marshal of the Indian Air Force by KR Narayanan, the then President of India at a special Investiture Ceremony at Rashtrapati Bhawan, New Delhi. He became the first and only officer of the Indian Air Force to be promoted to five-star rank as Marshal of the Indian Air Force, equal to the army rank of Field Marshal. Until then, only two Army chiefs, K M Carriappa and Sam Manekshaw, had achieved the highest military rank attainable. Singh suffered a cardiac arrest at his New Delhi residence in the early morning of 16 September 2017 and was rushed to the Army Hospital, Research and Referral, in New Delhi, where his condition was stated to be critical. He died at 7:47 p.m. (IST) that evening. 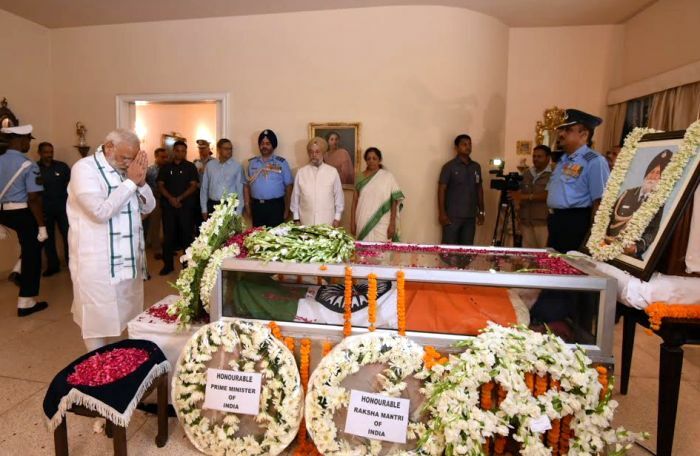 His body was returned to his home at 7A Kautilya Marg in New Delhi, where numerous visitors and dignitaries offered their respects, including President Ram Nath Kovind, Prime Minister Narendra Modi, Defence Minister Nirmala Sitharaman and the three service chiefs of the Indian Armed Forces. Accorded a state funeral by the Indian government, he was cremated at Brar Square in New Delhi on 18 September with full military honours, including a military flypast by IAF fighter jets and helicopters. On 14 April 2016 at an event to mark the Marshal’s 97th birthday, the then Chief of Air Staff Air Chief Marshal Arup Raha announced that Indian Air Force base at Panagarh in West Bengal will be named after MIAF Arjan Singh in honor of his service, and will be called Air Force Station Arjan Singh from then. In July 2015, then aged 96 and using a wheelchair due to a temporary indisposition, he was among the many dignitaries to lay a wreath at the base of the coffin carrying the mortal remains of former President A.P.J. Abdul Kalam at Palam Airport.He paid his last respects to President Kalam at Palam Airport on 28 July. MIAF Arjan Singh has been a sports achiever. As an ace swimmer, he held an all-India record in freestyle swimming in one mile and half mile events. He was the vice-captain of swimming, athletics and hockey teams during his training at RAF College Cranwell. He remained active even at 98, continuing to take tea and to play golf twice a week at the Delhi Golf Club. Let’s get inspired by the legend that Marshal Arjan Singh was and will remain forever.